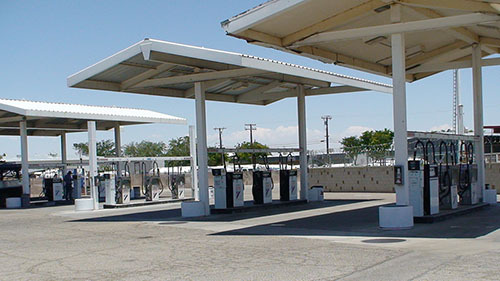 Petro-Lock is home to a substantial fueling site large enough for any oversized load to the smallest cars for effortless entrance and exiting of our premises. 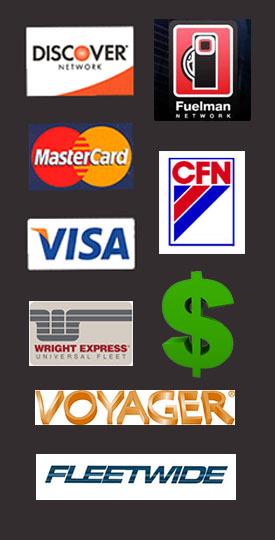 We welcome Visa, MasterCard, Discover, CFN, FleetWide, Fuelman, Wright Express and Voyager cards at our facility 24/7. Petro Lock is pleased to offer multiple product lines to you. We feel confident that through our marketing efforts, we will continue to maximize the value of these product lines to you through programs and national brand recognition. Chevron: Chevron products are recognized for their quality, performance and technology around the world. To help you develop your business, Chevron offers a wide variety of support programs and special promotions throughout the year that are tailored to fit your particular needs and help maximize savings. All are designed to help you build profits, improve marketing techniques and utilize resources that will give you the competitive edge. Havoline: The Havoline brand has provided advanced technology, outstanding engine protection and proven performance since 1904. Havoline motor oils with Deposit Shield™ technology protect engines against harmful deposits, help improve performance and maximize fuel economy. Delo: Delo premium motor oils and coolants are designed for a wide range of on- and off-road uses, including in truck and bus transportation, construction, mining, agriculture and power generation. Delo products use Chevron’s proprietary ISOSYN® technology, which combines premium base oils with additives to deliver performance that rivals synthetic lubricants. 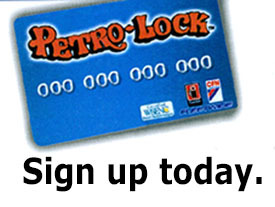 Petro Lock: Petro Lock features their signature line of synthetic blend house brand products. These products are competitively priced and formulated to keep engines clean by preventing build up of sludge, rust or varnish. Petro Lock’s synthetic blend exceeds API SN, ILSAC GF-5 performance requirements. 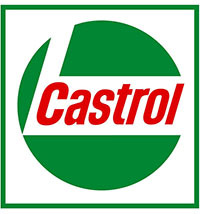 Castrol: Castrol is synonymous with performance and offers lubricants for virtually all domestic, commercial and industrial applications. For automotive lubrication (including motorcycle, 2 stroke and 4 stroke engines as well as gasoline and diesel engines) their products include an extensive range of engine oils, transmission fluids, chain lubricants, coolants, brake fluids and greases along with products for agricultural machinery. Besides outstanding technical support, our staff will create and customize a total lubrication program for your specific needs. Castrol provides technology geared for today and well into the future. We carry a wide range of other brands and products. Heavy stop-and-go traffic, frequent short trips, trailer towing; they all put your engine to the supreme test and can take a toll on your transmission. Automatic transmission fluid has been designed to keep your vehicle shifting and engaging with the transmission smoothly. By keeping your gears lubricated and cool, your car will operate smoothly and efficientlyTo help protect against these tough conditions and maximize the life of your transmission, Petro Lock offers a complete line of high-quality Automatic Transmission Fluids (ATF) specifically engineered for your vehicle. PL SELECT MD-3 ATF is a general purpose automatic transmission fluid manufactured from premium quality base oils and blended with a specifically balanced additive combination to provide high oxidation stability, excellent foam resistance, corrosion and wear protection, and heat resistance. This complex fluid is also compounded with a friction-modifying additive to provide smooth lock-up of clutches without chatter. PL SELECT MD-3 ATF is a general-purpose fluid that meets and exceeds all the old OEM specifications like MERCON, Allison and others. C hevron Automatic Transmission Fluid MD-3 is a passenger car and light truck automatic transmission fluid for most pre-2006 automatic transmissions built by General Motors, Ford Motor Company and other makes requiring a high-performance, multi-purpose, power transmission fluid. It is recommended for all applications that call for the former DEXRON® III and MERCON® fluids and for Allison C-4 fluids. 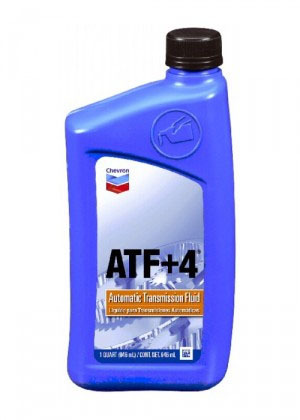 Chevron ATF+4® Automatic Transmission Fluid is formulated with high purity synthetic base stocks. It is designed to maintain its viscosity through excellent oxidation stability and the use of long lasting viscosity modifiers. Chevron ATF+4 is specially formulated to give full protection in all critical areas for Chrysler Group transmissions. 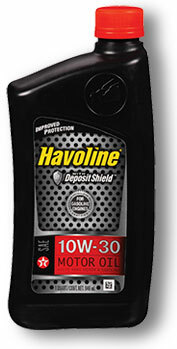 Havoline® Synthetic ATF Multi-Vehicle DEXRON®-VI is formulated for General Motors automatic transmissions for Model Year 2006 and newer.1 It is the latest generation technology approved for use by General Motors in automatic transmissions and automatic transaxles where a DEXRON-VI fluid is specified. It is suitable for most modern 6+ speed transmissions. Chevron Multi-Vehicle ATF (MERCON® V) is fully approved and licensed under the MERCON® V and Allison C-4 specifications. In addition, it is suitable for service fill of many transmissions manufactured by North American, Asian and European OEMs. It provides excellent performance at all temperatures and is formulated to resist viscosity breakdown for long fluid life. Type F is specifically designed for most pre-1977 Ford vehicles and some makes between 1977 and 1981. Effective March 1997, Ford discontinued administration of approvals for Type F fluids. However, there are still many vehicles on the road that use Type F. Type F and MERCON fluids are not interchangeable. 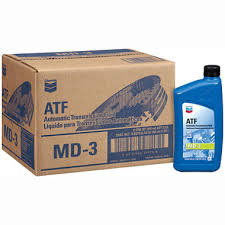 Chevron ATF Type F is a high friction ATF for older Fords that specifically call for a Type F fluid. Quiet performance — Especially effective in assuring proper action in Ford, Lincoln, and Mercury transmissions at all speeds. Fast circulation during cold weather and excellent lubricating body when hot. Castrol® Transmax™ Full Synthetic Multi-vehicle is a technologically advanced, low viscosity formulation specially designed to deliver maximum fuel efficiency for modern automatic transmissions. It is blended with premium base stocks and is fully approved by both Ford and GM for use in vehicles requiring their latest ATF specifications. Exceeds requirements of JASO-1A and recommended for a wide range of import vehicles. Castrol® Transmax™ DEX/MERC includes enhanced friction durability for smooth transmission performance. Designed for use in older Ford and GM vehicles. Castrol® Transmax™ Import multi-vehicle is for use in most Honda, Toyota, and Nissan vehicles as well as other imported brands. Commercial/Heavy Duty Transmission Fluids effectively protect bearings and gear teeth from wear by cooling transmission components and maintaining smooth operation under a wide range of temperatures and conditions. These fluids are typically found in semi trucks, construction equipment, agriculture, and mining applications. Delo Synthetic Transmission Fluid SAE 50 delivers exceptional all-climate, year-round performance in heavy duty truck transmissions. A unique additive package can protect gears without using the “active sulfur” agents commonly found in automotive axle oils. This results in little to no corrosion and long life for copper-containing parts, such as oil coolers, bushings, and thrust washers. Good pumpability in extreme hot or cold temperatures promotes smooth shifting and efficient power transfer. It is specifically formulated to meet the latest extended drain requirements for Eaton transmissions, with drain intervals of up to 500,000 miles. Delo Trans Fluid ESI is formulated with ISOSYN® technology and is ideally suited for transmissions exposed to extremely high temperatures and loads. It is non-corrosive toward copper oil coolers. Tests have proven that Delo Trans Fluid ESI provides a thick wear protection film composed of compounds that do not adversely react with metal. 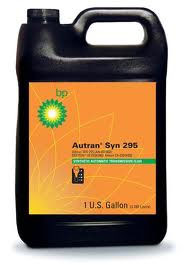 BP Autran Syn 295 is a fully synthetic universal shift and automatic transmission fluid designed to increase efficiency through extended drain intervals. BP Autran Syn 295 is formulated to maintain its stability even under the most severe operating conditions. BP Autran Syn 295 meets or exceeds the performance requirements set forth by OEMs and listed or approved under the Allison TES-295 (AN-031002) specification. Castrol Trans-C 30 and Trans-C 50 are formulated to meet the strict frictional requirements of a Caterpillar TO-4 fluid. Castrol Trans-C 30 and 50 are tested for friction control using seven different frictional materials, both metallic and nonmetallic. Castrol Trans-C 30 and 50’s proven friction control results in powershift transmission performance with less clutch slippage and clutch setting adjustments, elimination of brake noise and paper and elastomer materials that do not weaken or turn brittle. This means longer, trouble-free transmission life for your customers. Your machinery’s components operate at a variety of speeds and temperatures, demanding specific lubricant viscosities for specific applications. A grease is typically recommended when equipment requires a lubricant that has staying power, thickness, and the ability to provide a seal between moving parts. Grease is usually identified by the type of thickener or soap used in its formulation. There a many, many different applications that call for different specifications. Petro Lock is proud to offer a full line of high quality greases that will cover whatever application you require. A multi-purpose, aluminum complex thickened NSF H1 approved food machinery grease for grease-lubricated machinery in the food industry, such as canneries, beverage bottlers and canners and meat and poultry packers. CASTROL PYROPLEX BLUE is the ultimate lubricant for very wet and performance challenging on and off highway environments. CASTROL PYROPLEX BLUE’S unique multifunctional solid lubricant additive builds tack and adhesion when exposed to water saturated environments. When performance is challenged in the presence of water and humidity. CASTROL PYROPLEX BLUE not only resists softening and washing out, but grows in tack and adhesion with continued exposure. In high temperature environments, film strength is increased between metal surfaces, and the affinity for metal surfaces is enhanced. This produces a slippery physical barrier of protection. CASTROL PYROPLEX BLUE’S enhanced load carrying ability is coupled with dramatic oxidative characteristics and high temperature structural stability for exceptional performance in heavily loaded bearings. Castrol Pyroplex Gold is a uniquely formulated, semi-synthetic, aluminum complex grease that excels in heavily loaded construction, mining, and industrial equipment where extreme operating conditions prevail. Castrol Pyroplex Gold contains a high level of synergistic solids, including 6% molybdenum disulfide, for maximum surface adhesion and added extreme pressure characteristics. It’s tough, durable lubricating film will protect all lubricated parts in high shock loads and boundary conditions. CASTROL PYROPLEX RED is a high temperature EP, lithium complex grease that meets the highest performance standards of automotive (particularly Disc Brake Wheel Bearings) fleet, industrial, farm, and off highway equipment operations. Formulated from selected base stock and containing unique oxidation inhibitors, this grease possesses outstanding thermal stability. In selecting the extreme pressure and anti-wear package, great care was exercised in choosing only additives that had temperature characteristics similar to the grease itself. CASTROL PYROPLEX RED has excellent rust protection, mechanical stability and compatibility with other greases. Castrol Pyroplex Protection ES is a specially formulated synthetic, lithium complex grease designed for extended service performance in challenging on-highway environments. Its unique inhibitor additive system provides maximum protection against rust, oxidation and corrosion. When performance is challenged in severe corrosive environments, Castrol Pyroplex Protection ES not only resists rust and corrosion, but provides unmatched protection, for moving parts reducing component wear and promoting longer equipment and lubricant life. Its inherent flow properties across wide temperature ranges make Pyroplex Protection ES ideal for automatic lubrication systems on mobile equipment. Castrol Contractor‟s Special is a lithium complex grease with extreme pressure additives containing 3% Molybdenum Disulfide. Castrol Contractor Special is formulated to offer high temperature and heavy-duty performance coupled with good pumpability for applications where a tough durable lubricating film is needed. Castrol Contractor’s Special delivers better productivity and less downtime where “boundary lubrication” exists while extending lubricant usage, longer equipment life, and reduced lubrication frequency. Gears are the most common way to transmit power from one revolving shaft to another. Different combinations of gears are responsible for increasing/decreasing speed and changing direction. Due to the many needs and applications there are several types of gears. Some of the types are worm gears, hypoid gears, helical gears, spur gears, to name a few. Based on the type of gear and the amount of power and load that it will handle, gear lubricants need to take into account the appropriate load characteristics, drive type, surface finish, transmitted power, application method, and water contamination. Petro Lock offers a full line of premium Gear Lubricants to meet your needs. Provide outstanding thermal and oxidation stability for industrial bearings and gears that require an R&O-type synthetic gear oil. . Designed to provide excellent wear protection for automotive gear sets operating in extremely cold conditions, where fluidity of the lubricant is critical to protect gears and bearings. .
Castrol AP Gear lubricants are multi-purpose, extreme pressure gear oils that are thermally stable and will provide transmission, differential and other application protection beyond that specified for SAE J2360 (Formerly MIL-PRF-2105E) requirements. This thermal stability extends oil service life and reduces critical component wear. They are recommended for make-up and complete refill of most passenger car and light truck conventional differentials, transmission and steering gears. Castrol Syntrax Limited Slip 75W-90 is a breakthrough in lubrication technology. Its full synthetic formula provides protection, durability and performance that far surpass conventional API GL-5 and MT-1 gear oils. Castrol Syngear lubricants are a line of API GL-5 heavy-duty synthetic gear lubricants. They offer the highest level of protection against premature bearing failure and gear tooth wear. Their anti-foam, antirust and corrosion protection additives guard against further bearing and gear wear. Castrol Syngear lubricants meet or exceed the performance requirements for API MT-1 (75W-90), API GL-5, Harnischfeger (P&H) 474, MIL-PRF-2105E, General Electric D50E9C, Mack Truck GO-J Plus, Dana SHAES 429 Rev. A., Dana SHAES 256 Rev.C (75W-90) and Meritor 076-N (75W-90) and 076-M (80W-140). Castrol Isolube lubricants are a series of ISO-graded, technically advanced formulations that exceed previous performance levels and excel in applications requiring optimum oxidation control and thermal stability. Castrol Isolube EP Lubricants are formulated to provide optimum wear protection in industrial gear sets, off-highway construction and mining applications where consistent performance is critical. Petro Lock offers a wide selection of premium hydraulic oils for various applications. PL Select AW 68 Hydraulic Oil is manufactured from highly refined paraffinic base oils and is fortified with an inhibitor system to provide a product which insures maximum performance in all aspects of hydraulic service. Antiwear agents keep wear rates low on critical pump parts and rust and corrosion problems are eliminated by the rust inhibitor. A foam suppression additive eliminates concerns over operating problems due to foam buildup in the hydraulic storage tank even in high circulation rate systems with low residence times. Ashless hydraulic oil for high performance industrial applications utilizing axial piston pumps where pressures may exceed 5000 psi, and vane- and gear-type pumps, and where applications are situated in environmentally sensitive areas. Castrol Dual Range HV Hydraulic Fluids are exceptional multi-viscosity hydraulic fluids that provide proven anti-wear protection coupled with very shear stable polymers and anti-foam additives for a balanced package. An extreme load carrying capability is indicated where Castrol Dual Range HV Hydraulic Fluids pass the FZG Load carrying test at Stage 12. This outstanding performance provides the extra measure of protection required in high load applications such as hydrostatic transmissions and high speed/high pressure hydraulic circuits. Castrol Paradene AW is a premium industrial anti-wear hydraulic oil line for hydraulically activated equipment that utilizes high performance pumps. They contain very effective anti-wear additives that allow them to meet or exceed industry vane, gear, and piston pump manufacturers’ specifications. These fluids are highly dependable, peak efficiency oils, which meet the lubricant demands of precision industrial equipment. Castrol Paradene AW will remain very stable and clean in today’s machine tool equipment where increasingly sophisticated control systems are used. Castrol Paradene R & O oils are specially formulated premium products containing additives that are carefully chosen to insure outstanding long-term performance. Castrol Paradene R & O oils are available in a wide range of viscosities that are tailored to meet industrial requirements, rotary air compressors, non anti-wear hydraulic and circulating systems, as well as non-EP gear oil applications. Castrol Paradene R & O oils are particularly suited to meet today’s stringent industrial requirements through a combination of a high viscosity index base oil, foam, rust, and corrosion inhibitors and a special oxidation inhibitor. In Automotive applications, more than 20% of failures are directly related to cooling system failures. In Heavy Duty applications, more than 40% of downtime is directly related to cooling system failures. As you can see, it is very important to have the right coolant in your equipment. Petro Lock offers a complete line of high-quality coolants specifically engineered for your vehicle. That’s just what Delo Extended Life Coolant/Antifreeze offers. For your convenience, we also offer a 50/50 mixture of Delo ELC concentrate and deionized water. Delo ELC Prediluted 50/50 can be used for top-up or initial fill. With a service life of 600,000 miles/12,000/6 years, Delo Extended Life Coolant/Antifreeze – Nitrite-Free has been formulated to meet the requirements of Detroit Diesel/Mercedes-Benz when a nitrite-free extended life coolant is required. Other OEM engine types that call for nitrite-free extended life coolants include Japanese OEMs, like Komatsu and Isuzu, and European OEM’s, like Volvo (construction equipment) and MTU. No addition of supplemental coolant additives (SCAs) or Extender is needed or recommended with Delo Extended Life Coolant/Antifreeze – Nitrite-Free. Delo® Extended Life Coolant/Antifreeze PG are single phase, propylene glycol type products based on Chevron’s patented aliphatic carboxylate inhibitor system with nitrite and molybdate added. Delo Extended Life Coolants/Antifreeze PG do not require the addition of supplemental coolant additives to obtain a service life of 750,000 miles/8 years/ 12,000 hours with correct top-up practices. 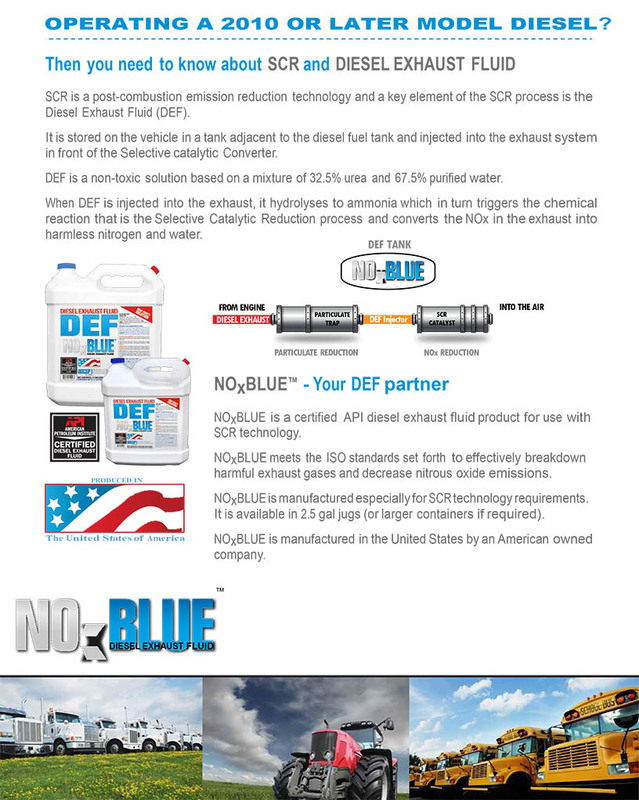 Delo Extended Life Coolants/Antifreeze PG meet the CAT$#174; EC-1 specification. Chevron Supreme Antifreeze/Coolants are quality, single phase, ethylene glycol based products blended with a quality additive package. They are low silicate, multi-purpose coolants designed for use in both automotive and heavy duty diesel engines (with SCA additions). Chevron Supreme Antifreeze/Coolants are free of nitrites and amines. Chevron Supreme Antifreeze/Coolants provide antifoam properties, and rust and corrosion protection for aluminum, brass, copper, solder, steel and cast iron. They mix readily with any clean tap water and is compatible with cooling system filters and supplemental additives. Chevron Supreme Prediluted 50/50 Antifreeze/Coolant is a 50/50 mixture of Chevron Supreme Antifreeze/ Coolant concentrate with deionized water. Chevron Supreme Antifreeze/Coolants, when used in HD applications, will require an initial charge of supplemental coolant additives. Routine SCA addition will be required thereafter. Check with your SCA supplier. Chevron DEX-COOL® Extended Life Antifreeze/ Coolants are single phase, ethylene glycol antifreeze/ coolants based on patented aliphatic carboxylate corrosion inhibitor systems and are available as a concentrate and a 50/50 pre-dilute. Chevron DEX-COOL Extended Life Antifreeze/Coolants are based on a patented aliphatic organic additive formulation that provides a service life of 150,000 miles/5 years and is approved under GM6277M. These products meet GM DEX-COOL requirements. These products can be used in mixed fleets where automobiles and light duty trucks are present. The main corrosion inhibitors in Chevron DEX-COOL Extended Life Antifreeze/Coolants have been shown to remain above 95% of their original concentration with proper top off after 150,000 miles in automobiles. This allows much longer intervals between coolant changeouts. 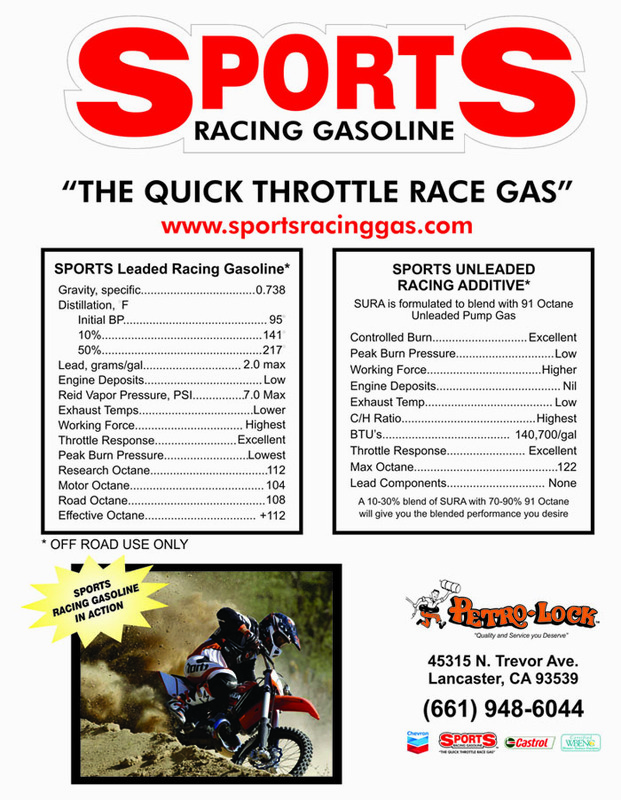 We also carry Sports Unleaded Racing Additive, Methanol, Lacquer Thinner, Solvent, Denatured Alcohol, Lacquer Diluent, Toluene, and more. As good as your oil is, you still need a quality oil filter. Sooty particles from the normal combustion process, grit that gets past your air filter, and minute particles cast off by engine wear can cause serious damage to your engine. Petro Lock is able to offer you two quality brands to meet your automotive or heavy duty needs at competitive pricing. Use quality engine air filters and oil filters from Havoline to change your oil and filter harmful air and oil-born contaminants that can reduce engine life. 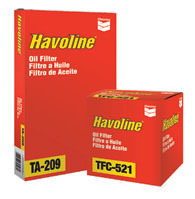 Havoline Oil Filters catch this debris before it recirculates into your engine. If you’re looking for the best in automotive filtration products, look no further! Purolator filtration products provide high quality performance for everyday driving. For you DIYers who like working on cars, you’ll find that Purolator products are highly engineered, reliable and affordable! 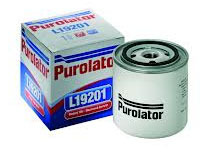 Did you know that Purolator has been manufacturing and distributing automotive filters since 1923? In fact, the very first automotive oil filter was called a “Purolator” – short for “pure oil later”. So, if you’re looking for the best in automotive filtration products – oil filters, air filters, cabin filters, fuel filters, transmission filters and more, look no further! Purolator filtration products provide high quality performance for everyday driving. Dyed diesel is also called red or off-road diesel. Dyed diesel is a lower-tax category of fuel used by marine vessel, agricultural equipment, construction sites and applications that don’t add wear to roads and highways. Vehicles and equipment traveling on roads must use clear fuel. Businesses must have a provincial tax exemption number (or social security number for non business use) before they may purchase dyed fuels and complete an annual dyed diesel certificate. We have dyed diesel available to the public during our business hours Monday through Friday 7:00 am to 5:00 pm. Petro-Lock is proud to be an environmentally responsible company. 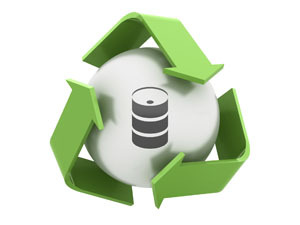 We have developed a waste oil program to help our customers responsibly dispose of their lubricant waste products. Call for details about this program. Used oils such as engine lubrication oil, hydraulic fluids, and gear oils used in cars, trucks, construction equipment, bikes, or lawnmowers can pollute the environment if it is not disposed of properly. Waste oil collection services will not accept used motor oil that has been contaminated with other fluids such as antifreeze, solvents, gasoline, or water. So please, don’t mix your used oil with anything. However, if your used oil accidentally gets contaminated, your Petro-Lock team member can help direct you on methods for proper disposal. Contact us here. We carry a variety of aviation products to meet your needs……. 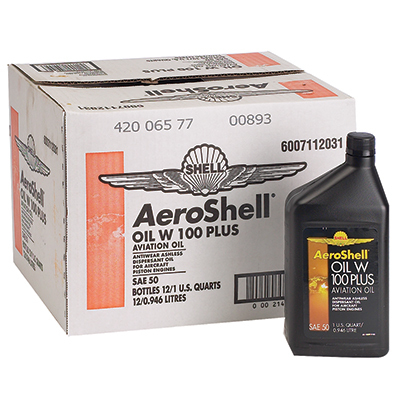 AeroShell Oils W80, W100 and W120 are ashless dispersant oils specifically developed for aviation piston engines. They combine non-metallic additives with selected high viscosity index base oils to give exceptional stability, dispersion and anti-foaming performance. No general rule exists for every engine type when choosing the correct grade of oil; however, based on the average ambient outside temperature at engine start-up the most common grades are SAE 40, SAE 50 and SAE 60, which equates to AeroShell Oil W80, W100 and W120 respectively. Traditionally, the choice is associated with climatic zones – AeroShell W80 for cold climate regions (-17 to 21ºC), AeroShell Oil W100 for temperate regions (15 to 30ºC) and AeroShell Oil W120 for warmer climates (above 26ºC). AeroShell Oils W65, W80, W100 and W120 are produced to meet fully the SAE specification J-1899 (Grades SAE 30, 40, 50 and 60 respectively). Furthermore, they all have military qualification approval and are listed on the Qualified Products List (QPL) issued by the US Navy and on the Technically Acceptable Products List (TAPL) issued by the UK Ministry of Defense. The blending plants employed to manufacture these oils also hold the approval of the specification authorities and this ensures that the high quality standard is always maintained. Phillips 66 X/C Aviation Oil is an ashless dispersant, multigrade engine oil specially formulated for year-round use in aircraft piston engines. It provides distinct performance benefits compared with single-grade engine oils, including easier starting and faster oil circulation at low temperatures, reduced warm-up time, and reduced oil consumption in most engines. It maintains its film strength under high loads and at high temperatures to protect against wear and piston scuffing. The ashless dispersant formulation helps minimize the formation of engine sludge, varnish, piston deposits and combustion chamber deposits, resulting in a much cleaner engine compared with the use of straight (no dispersant) mineral oils. Use only as an aviation fuel. Should NOT be used as a solvent or cleaning agent. A complex mixture of volatile hydrocarbons containing paraffin’s, naphthenic, olefins and aromatics with carbon number predominantly between C4 and C12. May contain oxygenates. May also contain small quantities of proprietary performance additives. Contains lead compounds. Explosive air/vapor mixtures may form at ambient temperature. Likely to cause skin irritation. Harmful by inhalation, in contact with skin and if swallowed (aspiration hazard). Danger of cumulative effects. Vapors may cause drowsiness and dizziness.